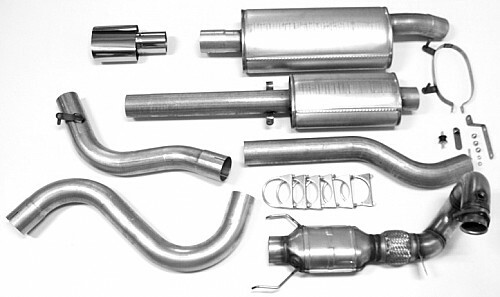 Details: 3" (76 mm) exhaust system manufactured from 1,5-2 mm double side aluminized steel. Sound level according to ISO R362: 78 dbA ( 2 db). Back pressure reduction: 60% (appr. 600 Pascal). Matt polished stainless tail pipe.